Hilton Worldwide Holdings Inc. (NYSE:HLT) (“Hilton”) announced today the appointment of James E. Mikolaichik as chief financial officer (CFO) of Hilton Grand Vacations (HGV) in advance of the planned separation of the timeshare business from Hilton later this year. Mikolaichik will oversee the company’s finance and accounting organizations and will play a crucial role in the development and implementation of HGV’s corporate and financial strategies. His appointment as CFO will be effective in August 2016, and he will report to Mark Wang, president and chief executive officer, Hilton Grand Vacations. 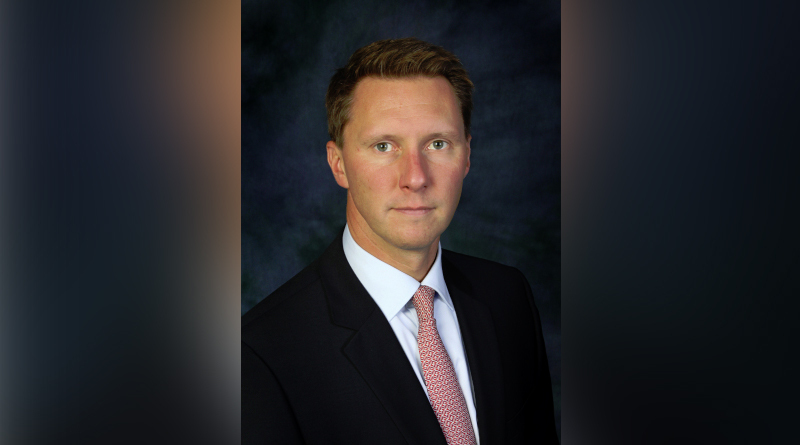 Mikolaichik joins HGV from Manning & Napier, Inc., an approximately $37 billion investment management firm, where he was chief financial officer. He was responsible for strategic and financial planning, financial reporting, tax, corporate development, investor relations, internal audit and human resources. Prior to Manning & Napier, he was with Old Mutual Asset Management as executive vice president, head of strategy and co-head of fund operations, as well as chief risk officer. Mikolaichik also worked for Deloitte LLP in various roles from 1993 to 2004. A certified public accountant, he holds a master of business administration in finance and entrepreneurship from Columbia University and a bachelor of science in accounting from Susquehanna University. This press release contains forward-looking statements within the meaning of Section 27A of the Securities Act of 1933, as amended and Section 21E of the Securities Exchange Act of 1934, as amended. These statements include, but are not limited to, statements related to the intended spin-offs and their expected benefits and other non-historical statements. You can identify these forward-looking statements by the use of words such as “outlook,” “believes,” “expects,” “potential,” “continues,” “may,” “will,” “should,” “could,” “seeks,” “projects,” “predicts,” “intends,” “plans,” “estimates,” “anticipates” or the negative version of these words or other comparable words. Such forward-looking statements are subject to various risks and uncertainties. Additional factors that could cause Hilton’s results to differ materially from those described in the forward-looking statements can be found under the section entitled “Part I-Item 1A. Risk Factors” of the Annual Report on Form 10-K for the fiscal year ended December 31, 2015, filed with the SEC, as such factors may be updated from time to time in Hilton’s periodic filings with the SEC, which are accessible on the SEC’s website at www.sec.gov. Accordingly, there are or will be important factors that could cause actual outcomes or results to differ materially from those indicated in these statements. These factors should not be construed as exhaustive and should be read in conjunction with the other cautionary statements that are included in this release and in Hilton’s filings with the SEC. The Company undertakes no obligation to publicly update or review any forward-looking statement, whether as a result of new information, future developments or otherwise, except as required by law. Hilton (NYSE: HLT) is a leading global hospitality company, comprising more than 4,660 managed, franchised, owned and leased hotels and timeshare properties with more than 765,000 rooms in 104 countries and territories. For 97 years, Hilton has been dedicated to continuing its tradition of providing exceptional guest experiences. The company’s portfolio of 13 world-class global brands includes Hilton Hotels & Resorts, Waldorf Astoria Hotels & Resorts, Conrad Hotels & Resorts, Canopy by Hilton, Curio – A Collection by Hilton, DoubleTree by Hilton, Embassy Suites by Hilton, Hilton Garden Inn, Hampton by Hilton, Tru by Hilton, Homewood Suites by Hilton, Home2 Suites by Hilton and Hilton Grand Vacations. The company also manages an award-winning customer loyalty program, Hilton HHonors®. Hilton HHonors members who book directly through preferred Hilton channels have access to benefits including preferred pricing, free standard Wi-Fi, as well as digital amenities that are available exclusively through the industry-leading Hilton HHonors app, where HHonors members can check-in, choose their room, and access their room using a Digital Key. Visit news.hiltonworldwide.com for more information and connect with Hilton Worldwide on Facebook, Twitter, YouTube, Flickr, LinkedIn and Instagram.